Great apps are even better when they’re on sale! 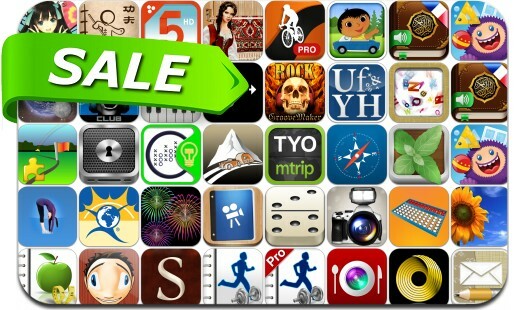 We’ve selected 38 iPhone and iPad apps that are over 30% off. This app deal alert includes Camera Pro Effects, ACG Art, Scripts Pro, Domino, Awesome Mails, iMashup, Unfilth Your Habitat, The Sonnets, AudioStretch, Mint Browser, Cyctastic GPS, WorkoutJournal, Unfilth Your Habitat and many others.